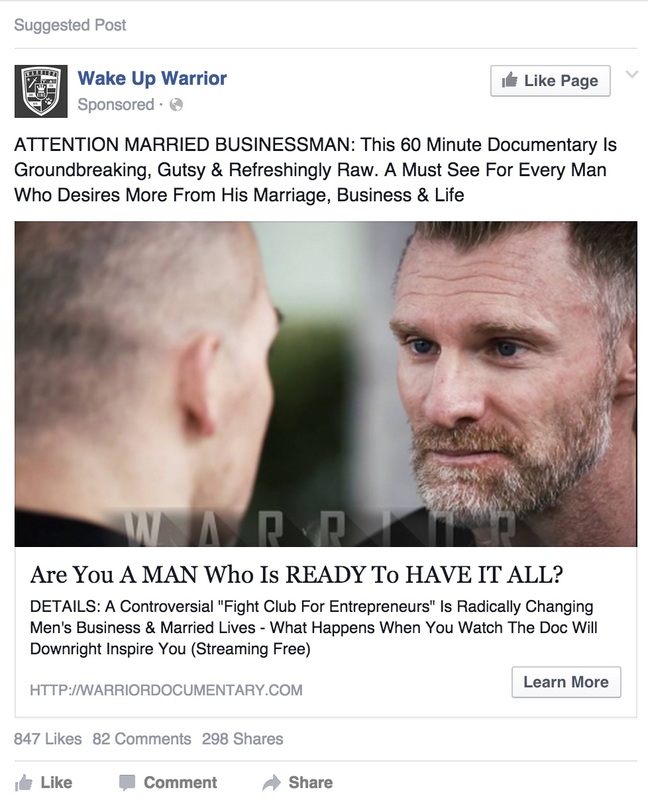 Many lawyers and law firms are hearing about the upside of Facebook advertising – and the trick here is to use Facebook to deliver extremely targeted ads. And I can’t emphasize the importance of the phrase extremely targeted here. This really is a needle in the Facebook haystack you are looking for and targeting includes both geo and demo and requires pretty good timing too. And often, you’ll get it all wrong – which is why having a reporting infrastructure that tells you when its working instead of burning money is of utmost importance. And remember – in legal – the vast majority of people aren’t looking for a lawyer right now. Extreme targeting simply increases the likelihood that some of those seeing your ad are. This is one of the reasons that retargeting on Facebook works so well. 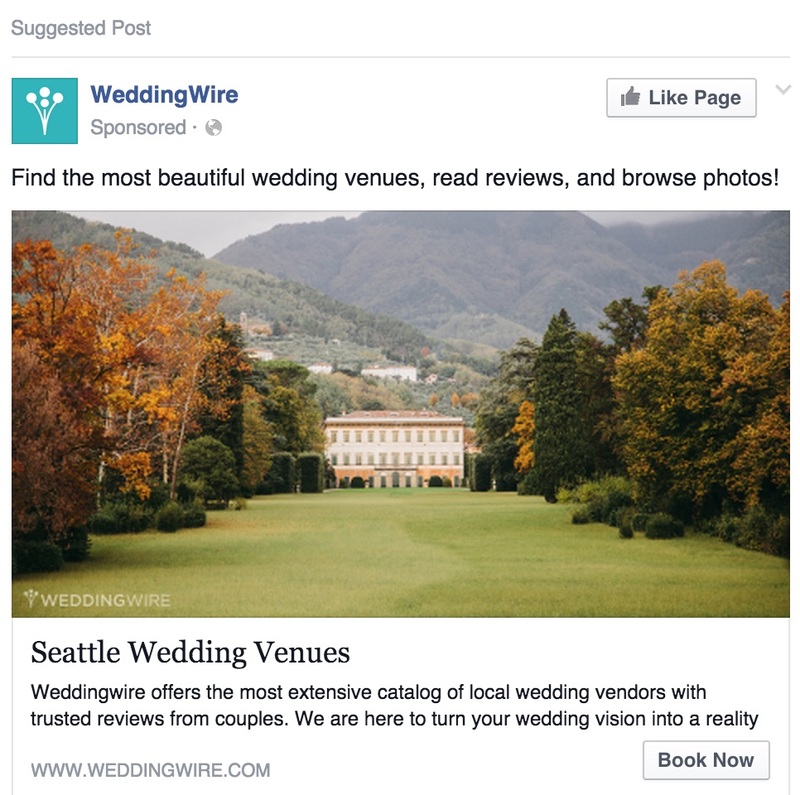 While WeddingWire recognized that I’m in Seattle, its pretty easy to identify (and therefore exclude) married, 41 year old men from your advertising set. Now perhaps I have some compatriot searching for a wedding venue for his daughter, but this is about increasing the liklihood of finding a buyer within your target. So targeting unmarried ladies, 20-30 is probably going to return a much higher ROI, than middle aged married dudes. Lots of legal issues are time specific, so getting that timing correctly is pretty important. 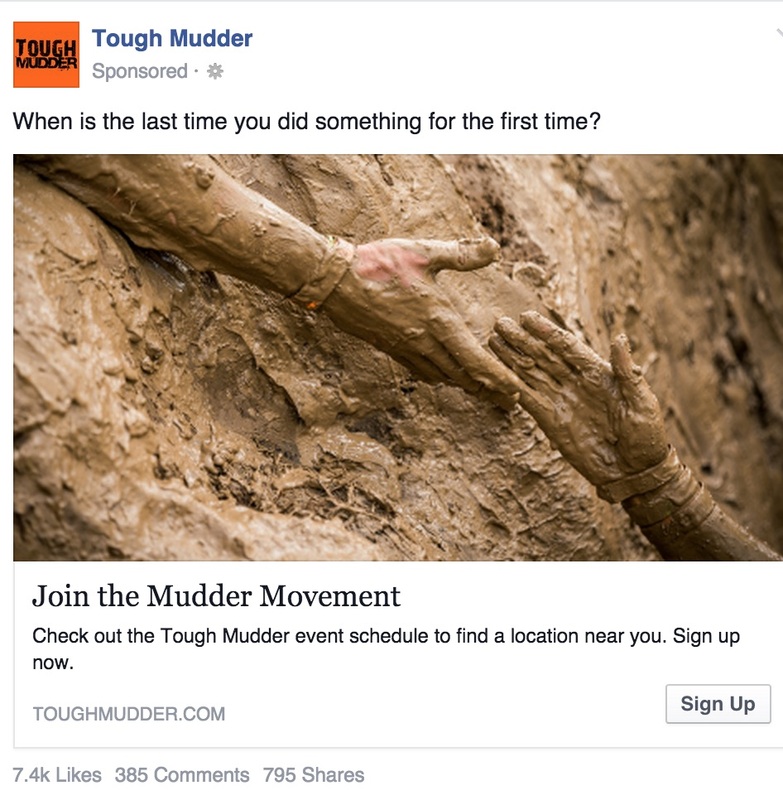 Here’s an ad this morning for the Tough Mudder race – which I ran YESTERDAY. Lets not ignore the irony of their tagline – “When is the last time you did something for the first time?” The race isn’t going to return to the Seattle area for another 363 days. Well played – you may as well throw a Go-Pro camera into the lime green water under the Funky Monkey 2.0 obstacle, assuming it will float.